Claim Your Posture Back Now! How you walk , stand and carry yourself is closely connected to your health and well-being. Sports performance, healing injuries , having more energy and good balance all starts with the foundation of good posture which also gives your lungs more room to breathe, allowing you to draw in more oxygen with every breath. More oxygen delivered through flowing blood vessels altogether means more energy. Your entire body chemistry and physiology change as a result. 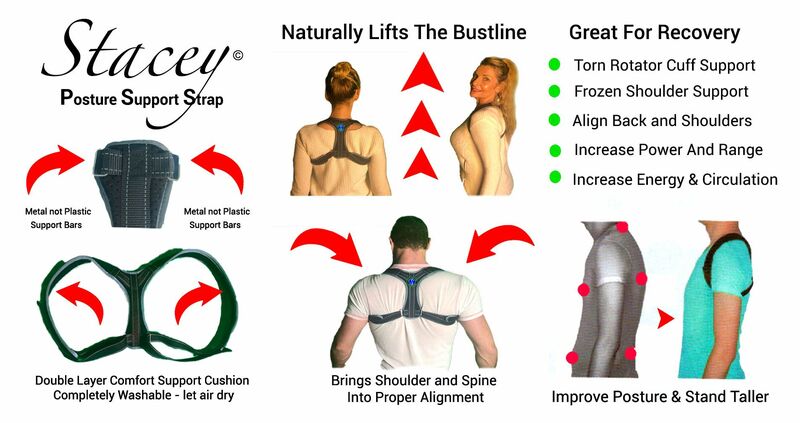 Use the Stacey Posture Support Strap in combination with these courses to maximize your results.